For Taiwanese Dogs, Being Square Is Stylish : Parallels These days, owners are asking for their four-legged friends to be styled as spheres and squares. We visit the Taiwanese grooming shop where the geometric grooming trend took root. 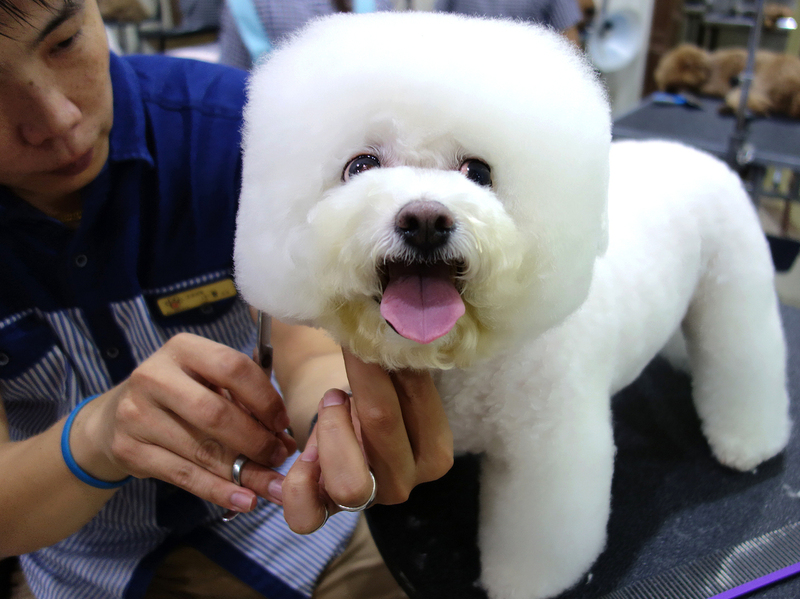 Tang Xiong Xiong, a Bichon Frise, came into the salon as a ball of fluff and emerged with her head shaped like a square. "She's getting used to it," says her owner. 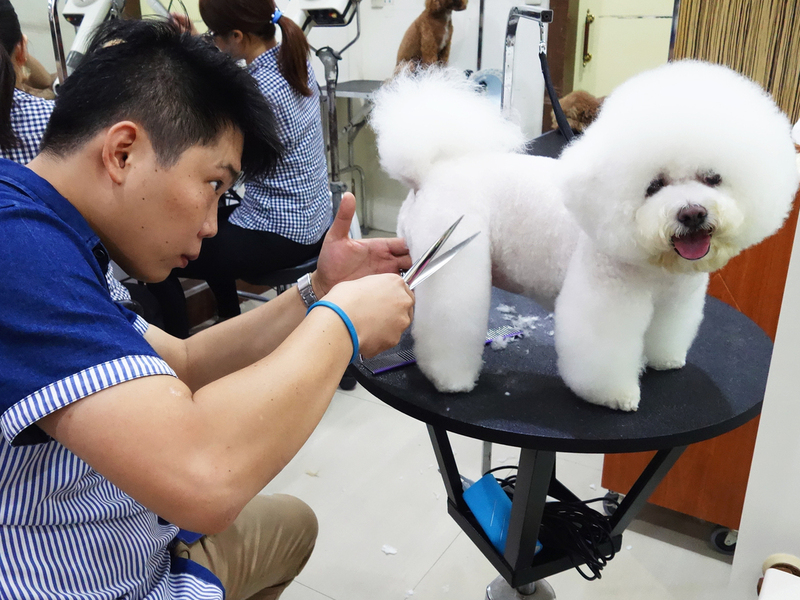 Pet groomer Xiao Mo gets to work shaping Tang Xiong Xiong, one of his many canine clients, into a square. Fanny Liu contributed to this story.